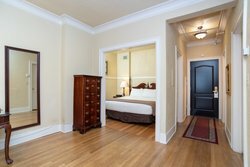 Nestled in the heart of the lower Queen Anne neighborhood, our hotel rooms in Seattle, Washington offer the perfect balance of historical significance and modern comfort. 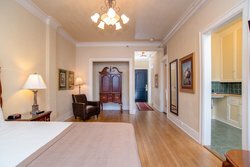 Originally housing the students of Henry Ford, the MarQueen Hotel is remembered as the birthplace of the Model T. Our refurbished apartment-style accommodations offer the space and vibrant ambiance that modern travelers desire. 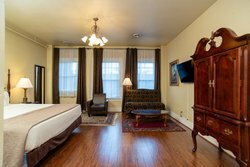 Embrace the atmosphere of our city’s oldest neighborhood when you stay in one of our hotel rooms and suites in Seattle, WA! 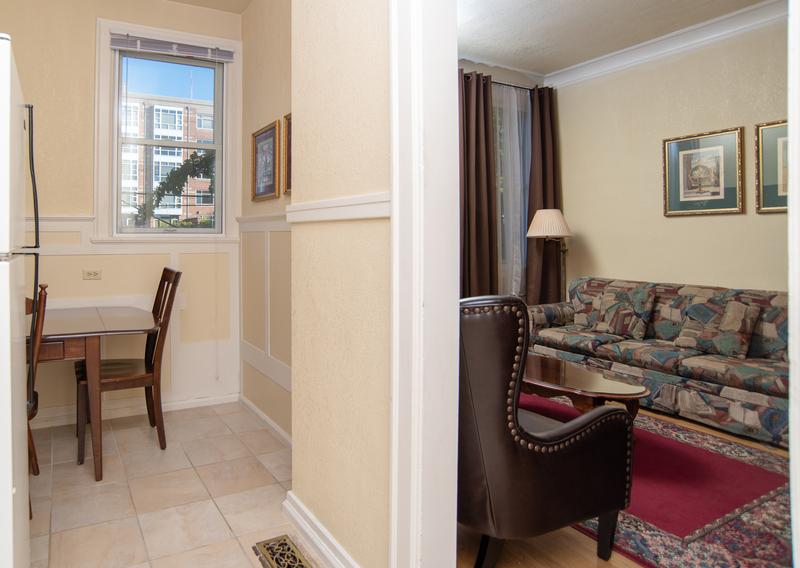 Each of our spacious lodgings feature kitchenettes and cozy seating areas for a true ‘home away from home’ experience. 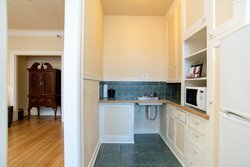 Easily prepare meals from the comfort of your private kitchen with a microwave, fridge, dishes, coffeemaker, and dining area. Order up room service from the Tin Lizzie Lounge downstairs to enjoy within the comfort of your historic room! With real wood floors and old-fashioned furnishings, our Seattle hotel suites are perfect for a romantic retreat. The 1920’s décor is intermingled with modern delights, such as high-speed Wi-Fi and 39” LED flat-screen televisions with DVD players. 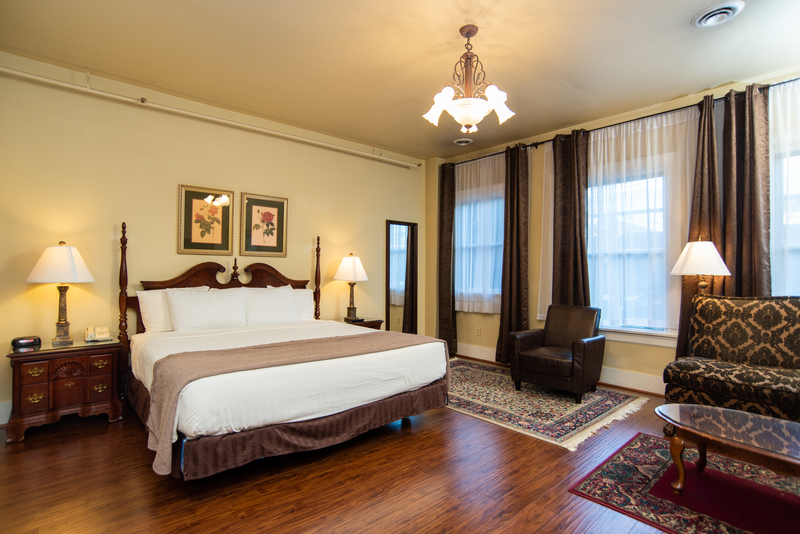 Sleep soundly on a pillow top mattress and enjoy your stay in our hotel rooms in Seattle, Washington! Perfect for business and leisure travelers alike, enjoy a quality night’s sleep in a king bed with a pillow top mattress. 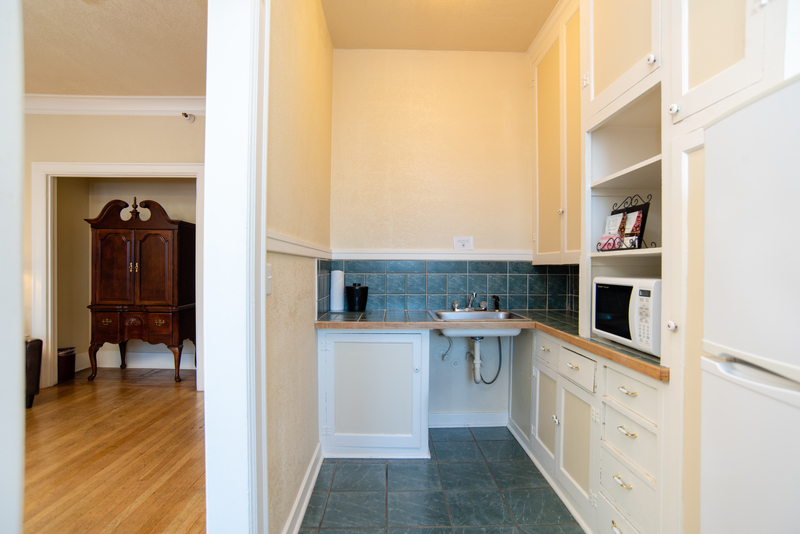 Easily prepare food in the in-room kitchenette with a quaint dining nook. 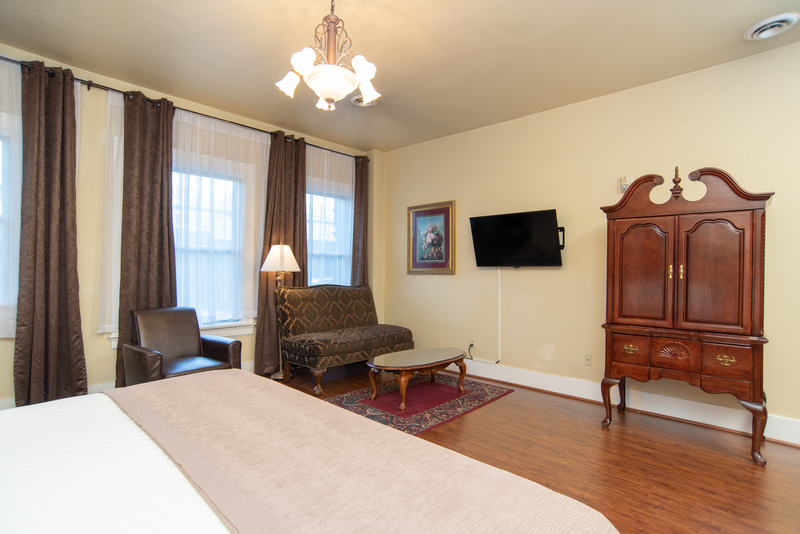 Included in the Deluxe King is free Wi-Fi, a 39” LED flat-screen TV, and a cozy sitting area. Accessible Features Available Find the comfort and accessibility you’re looking for in the ADA Deluxe King room. In addition to the features of our standard Deluxe King, our accessible rooms have grab bars for wheelchair users to easily navigate the space. Light switches are lower to accommodate for wheelchair height. 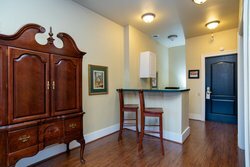 Easily prepare food in the in-room kitchenette with a quaint dining nook. 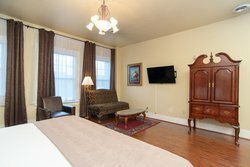 Included in the Deluxe King is free Wi-Fi, a 39” LED flat-screen TV, and a cozy sitting area. 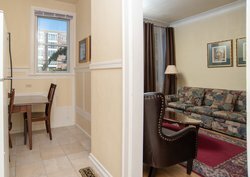 Our refurbished apartment-style accommodations offer the space and vibrant ambiance that modern travelers desire. 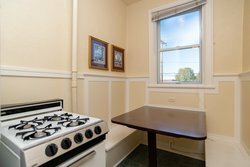 Easily prepare meals from the comfort of your private kitchen with a microwave, fridge, dishes, coffeemaker, and dining area. Included in your reservation is our complimentary breakfast. Nestled in the heart of the lower Queen Anne neighborhood, our hotel rooms in Seattle, Washington offer the perfect balance of historical significance and modern comfort. The 1920’s décor is intermingled with modern delights, such as high-speed Wi-Fi and 39” LED flat-screen televisions with DVD players. 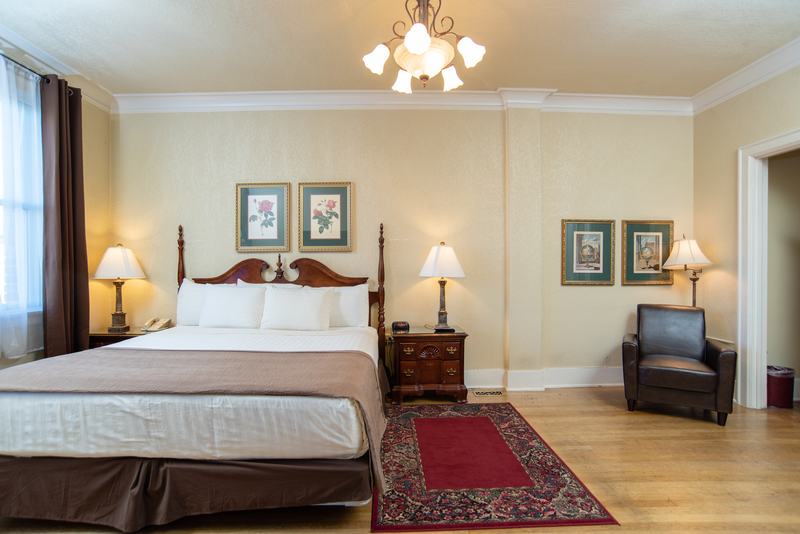 Sleep soundly on a pillow top mattress and enjoy your stay in our hotel rooms in Seattle, Washington! 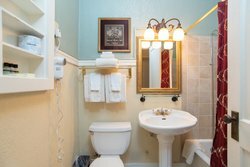 Here in the twenty-first century, we’ve recently remodeled the bathrooms and carpets to update the MarQueen while still retaining her historic charm. There’s space for everyone in your group in this deluxe room with two queen beds with pillow top mattresses. 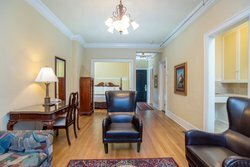 Watch a movie together in the sitting area with a 39” LED flat-screen TV, or prepare food in the full kitchen with cooking utensils, dishes, and a dining area included. Relax and unwind in the Junior Suite, complete with a king bed and double sofa bed for additional guests. This historic hotel suite in Seattle, Washington has a full kitchen with modern appliances and dining area. Other contemporary details included in your suite are high-speed Wi-Fi and a 39” LED flat-screen TV with a DVD Player. Other contemporary details included in your suite are high-speed Wi-Fi and a 39” LED flat-screen TV with a DVD Player. With real food floors and old-fashioned furnishings, our Seattle hotel suites are perfect for a romantic retreat. The 1920’s décor is intermingled with modern delights, such as high-speed Wi-Fi and 39” LED flat-screen televisions with DVD players. Relax and unwind in the Junior Suite, complete with a king bed and double sofa bed for additional guests. Each of our spacious lodgings feature kitchenettes and cozy seating areas for a true ‘home away from home’ experience. Easily prepare meals from the comfort of your private kitchen with a microwave, fridge, dishes, coffeemaker, and dining area. 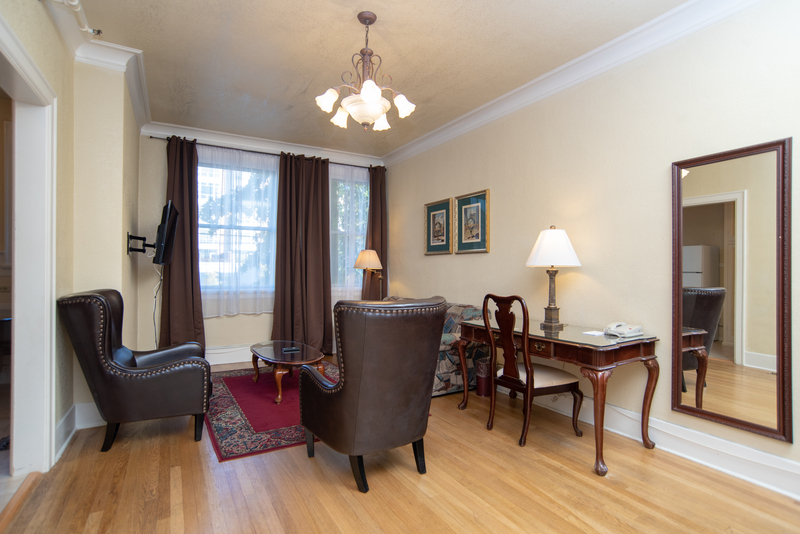 The premier choice for visitors staying in the oldest neighborhood in Seattle, the Queen Anne Suite boasts 700 square feet of space, two 39” LED flat-screen televisions, and a full kitchen. Sleep soundly in a king bed with a pillow top mattress and an additional double sofa bed for more space. Experience 1920’s stylings at the MarQueen Hotel! Sleep soundly in a king bed with a pillow top mattress and an additional double sofa bed for more space. Perfect for business and leisure travelers alike, enjoy a quality night’s sleep in a king bed with a pillow top mattress. 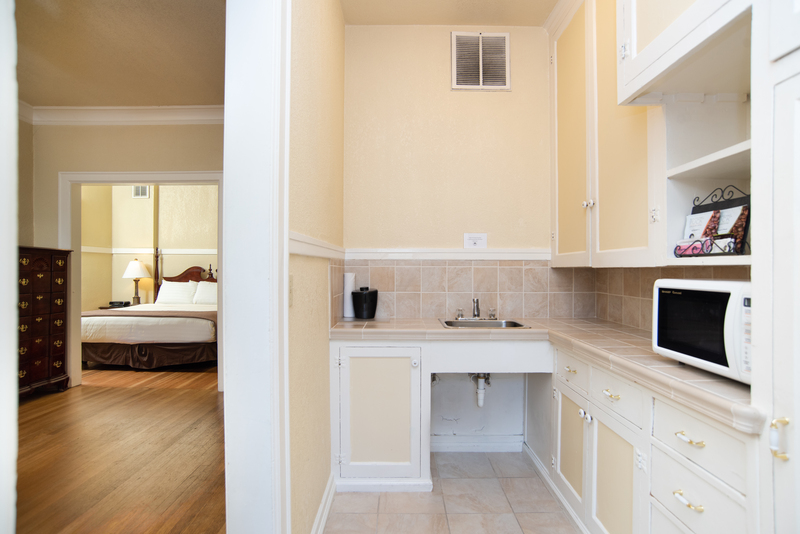 Easily prepare food in the in-room kitchenette with a quaint dining nook. 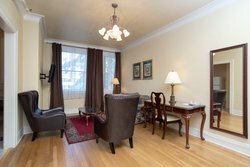 The premier choice for visitors staying in the oldest neighborhood in Seattle, the Queen Anne Suite boasts 700 square feet of space, two 39” LED flat-screen televisions, and a full kitchen. Find the comfort and accessibility you’re looking for in the ADA Deluxe King Room. 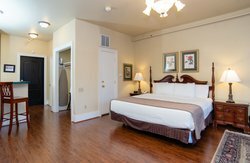 In addition to the features of our standard Deluxe King, our accessible rooms have grab bars for wheelchair users to easily navigate the space. Light switches are lower to accommodate for wheelchair height. Each room includes free Wi-Fi, a kitchenette, and sitting area for additional space. To book our ADA Deluxe King Room, please call the hotel at (206) 282-7407 or email. Ensure that everyone in your group has a comfortable stay when you select our ADA Deluxe Double Queen. 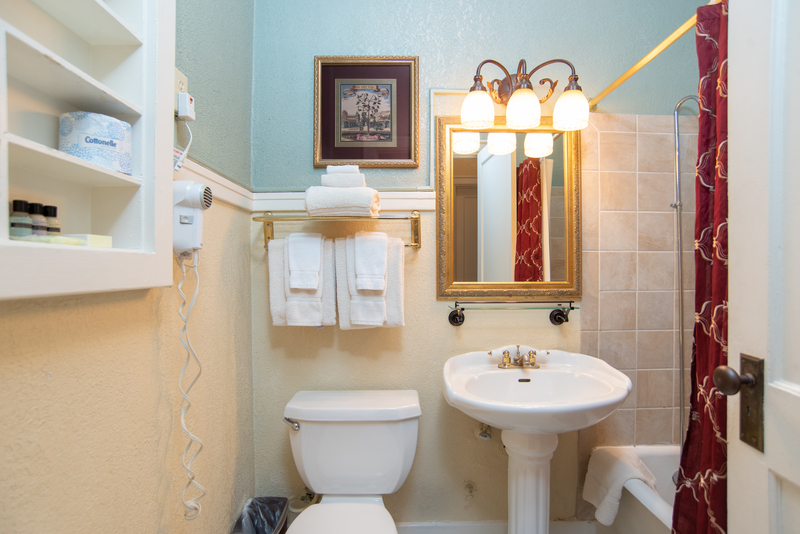 In addition to all the features of our standard Deluxe Double Queen, there are conveniently-placed grab bars throughout our accessible rooms and lower light switches to assist wheelchair users. 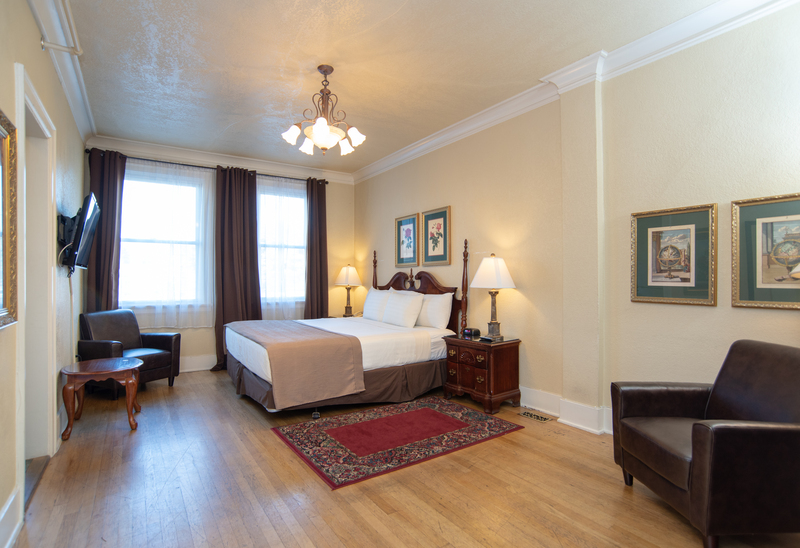 Each of our hotel rooms in Seattle, Washington include free Wi-Fi, a 39” LED flat-screen TV, and a cozy sitting area. 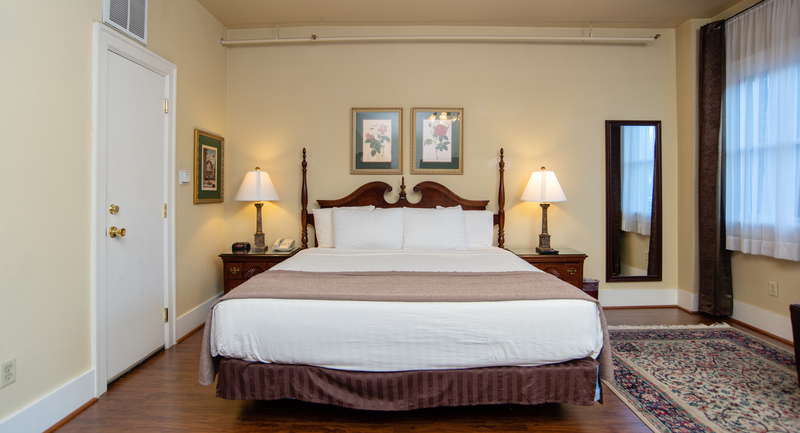 To book our ADA Deluxe Double Queen Room, please call the hotel at (206) 282-7407 or email. 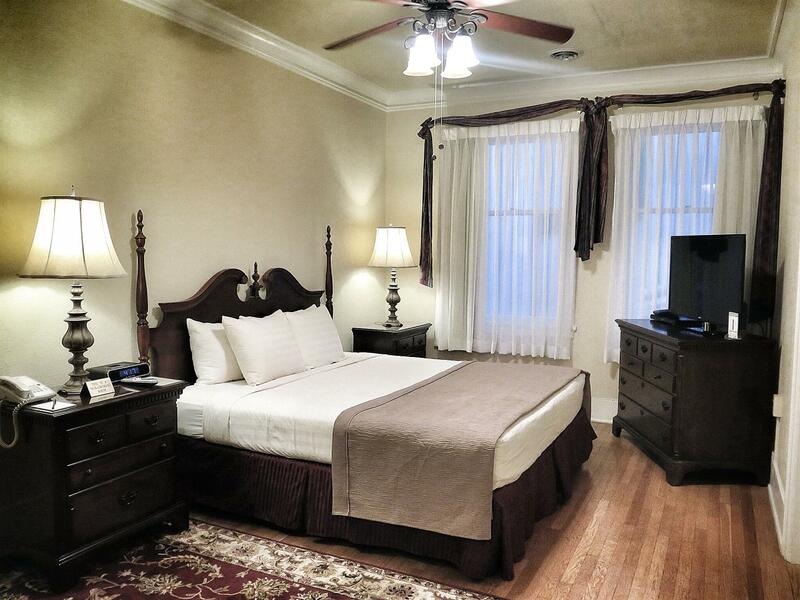 We're dedicated to providing a comfortable and relaxing stay for all of our guests! Our ADA One Queen room provides the standard in-room amenities of our rooms, with the added accessibility features of a roll-in shower, lowered lights and counter tops at 36", and water pipe protection against heat for possible burns. 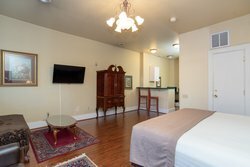 To book our ADA One Queen Room, please call the hotel at (206) 282-7407 or email.